If you have been following this blog for a while, you will know that in 1 Chronicles 12:32, the Sons of Issachar were men who understood the times, with the knowledge of what to do. Sue Davies prophesied that scripture over us here in Freedom Church, that we would be people who understood the times we are in, who would understand the times that are going to come, and that we would know what to do when those times came. We are going to need to know what to do, because those times are coming. The things that Jesus did here on earth were the template (or the pattern) of the things that we are going to be called upon to do in the times ahead. Jesus was able to do the things He did because He was able to operate in the supernatural realm, connected with heaven and earth at the same time. He brought the power of heaven into earth and manifested supernatural signs, wonders and miracles. So He was able to turn water into wine; He could manipulate matter; He was able to walk through people so they couldn’t hold Him; and He was able to disappear – He became invisible at times, so they couldn’t stone Him. He was able to speak to a fig tree and it died; He was able to turn to Peter and say ‘there is money in the mouth of that fish’; He was able to provide supernaturally, to feed thousands of people from a few loaves of bread and a couple of fish – He was able to multiply them, to manipulate matter. Jesus did miracles, and He said that we would do the things He did, and greater things. We are going to need to do even greater things than Jesus did because the enemy is going to be manifesting to a greater degree on earth, and we are going to have to overcome him. So we are going to have to be able to walk on water, still storms, challenge the prophets of our day (like Elijah did with the prophets of Baal when he called down fire from heaven). Those are stories which were written for us, to actually demonstrate what God can and will do. He is going to need to do them again, and He is going to want to do them through us. The healings, the miracles; everything that Jesus did is available for us to do too. Now we may well think, ‘how can I do all that stuff?’ We need to become more like Jesus. That is how we can do it: we have to become more like Him, transformed from glory to glory. We need to be ready to move and to act decisively. When God says ‘jump’, we jump: and He is going to direct us clearly like that. When Mike Bryant was here, one Thursday night, he prayed for me and I got stuck. The power of God hit me, and I went down like a sack of potatoes. Sometimes people kind of float down gently, but this was just ‘bang!’. And for the next hour I could not move a muscle, I was totally fixed to the floor. I wanted to get up but I couldn’t; I could just about move my head maybe half an inch. Other people were responding to Mike calling them forward to receive more of God – I wanted to go forward for that too, but there I was, stuck to the floor. Eventually I managed to prop myself up on my elbows, but the bottom half of my body was still not moving. I made it up onto a chair with my elbows, and then I got stuck there – again, I couldn’t move. By this time I was pretty fed up, because everyone else was being prayed for and meeting with God, and I couldn’t get up. I got someone to pull me up onto my feet, but my legs were totally rigid, I was standing up but I couldn’t walk – in fact I couldn’t even move my foot. I persevered and succeeded in shuffling one foot forward a few inches, but then I got stuck again. Absolutely, completely stuck. After a bit, I thought, ‘I really need to move my leg’ so I reached down and lifted my knee up with my hand… and fell over. Some people found all this highly amusing. Now what was God doing? It wasn’t just a sign – by this time there were only about five of us left in the building, and three of us were stuck on the floor! Now sometimes God doesn’t want us to move, he wants us to stay there and get stuff sorted out; sometimes that is why we are stuck like that. Sometimes we are stubborn, and it is God saying, ‘I can be more stubborn than you, and you are not going anywhere until you have surrendered’. But this wasn’t one of those occasions. 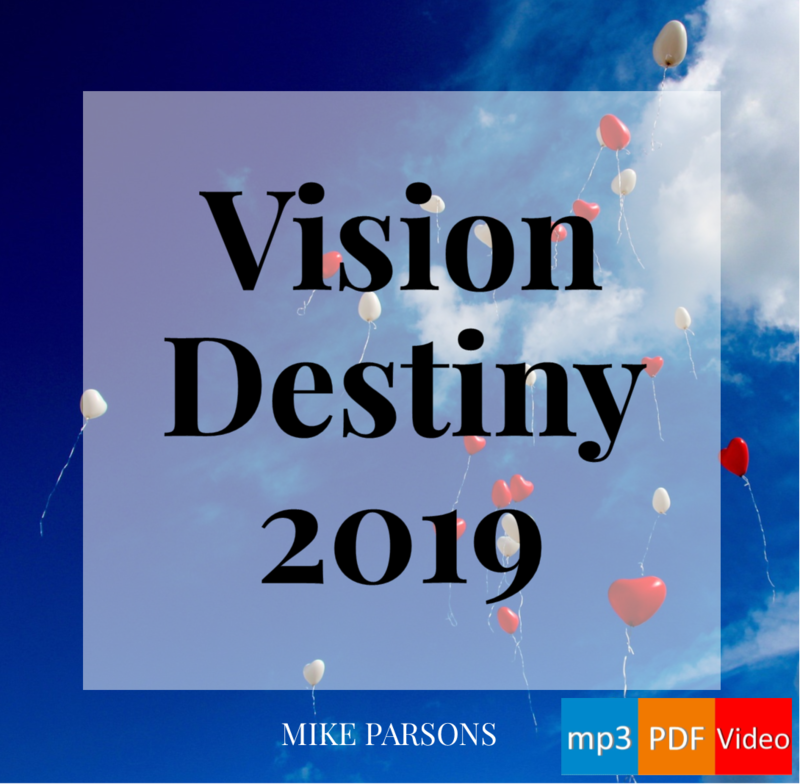 God actually told me what he was doing; he spoke to me really clearly, and one of the ladies from Folkestone that had come with Mike also came to me with a prophetic word which confirmed what I heard God say. He said, ‘This is what the church is like. It is paralysed. It is stuck. Every move of God in the past has got stuck; it has got so far, and then it has got stuck. It has said “Wow! Look what we’ve got! Let’s maintain it! Let’s protect it! Let’s keep it!’ But it isn’t ours, we have to give it away. Every one of those moves of God has become a denomination or a movement that has got stuck, can’t go any further. Every time I got to a new place, I got stuck. So what God is doing here at Freedom, and with others around the world, we cannot afford to get stuck with it. We have to be continually moving forward. We cannot turn it into a tradition. Let me give you an example of how traditions work. I heard of a church in America where the power of God came one Sunday and split their plexiglass lectern in two, straight down the middle, and it opened up a massive move of God. Do you know where that lectern is now? In a case, on show, and that’s all that’s left of that move of God, just a broken lectern in a case. And they look at it and say ‘Oh, wasn’t it wonderful when God came and did that’. We don’t want anything that we are doing to get stuck. We are not going to protect it, we are not going to maintain it, we are going to move with it. I don’t want a movement of God that fizzles out, I want something that brings Jesus back. That’s why we have to get prepared. We don’t want a church that is paralysed – and a lot of it is paralysed. I think it is wonderful that some of the guys are coming from the Methodist church and they are getting touched by God, because what would Wesley think if he walked into some of the Methodist churches today? I was brought up in the Methodist church in St Ives, it was the Bible Christian church in actual fact, which started from a move of God just down the road here in Shebbear. There was a revival in Shebbear, and they started the Bible Christian Methodist movement. I was brought up in that church for about 15 years, and no-one ever told me it had its roots in revival. In fact, I am not sure they even knew because they were so far removed from what God had done. We cannot afford that to happen. We cannot create a new tradition, or a new religious doctrine, or something which is a doctrine of demons and robs us of what God is doing. We have got to be willing to move forward and be prepared, we have got to look at the signs of the times and understand what God is doing and saying. There is so much that God is going to do through us… if we are obedient.